Last month, the State Department’s Bureaus of Public Affairs and African Affairs, in coordination with interagency colleagues, hosted a conference call with Assistant Secretary of African Affairs, Linda Thomas-Greenfield and approximately 200 representatives of the African diaspora community from across the United States. 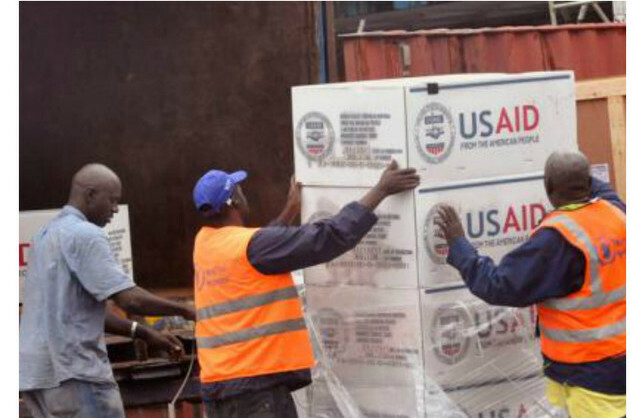 Together with officials from USAID, the National Security Council (NSC) and the Centers for Disease Control (CDC), Assistant Secretary of African Affairs, provided an update on the ongoing response to the crisis. In December 2014, Assistant Secretary Thomas-Greenfield was part of a U.S. delegation to Liberia, led by Assistant Secretary of Defense Michael Lumpkin, to assess the current state of Liberia’s fight against Ebola and U.S. response efforts on the ground. On this call, she reviewed her trip and commended the efforts of U.S. Embassy personnel in Monrovia, who are working around the clock, to support the anti-Ebola effort. She also stressed that the U.S. Government response to Ebola has been a “whole of government” effort. In response to questions from call participants, Assistant Secretary Thomas-Greenfield noted that, after several very difficult months, Liberia has made significant gains in the fight against Ebola. She also added that more work remains to be done until Liberia is Ebola-free. To that end, she urged Liberians not to change the practices that have been put in place to ensure the eradication of this disease. Thomas-Greenfield remains engaged in coordination efforts with other U.S. Government agencies and colleagues in the international community around the recovery program in the region, the state of the health sector, and the conditions for improvement in education and infrastructure. The U.S. Government continues to stand with Liberia, and knows that this is a situation that they cannot fight alone. Liberia and other Ebola-affected countries need the support of the international community and we are committed to providing that support. President Obama made that very clear when he said that this is a national security crisis, not only for the region, but for the world. For more information on the ongoing U.S. response to the virus, please visit the State Department page here. David Duckenfield serves as Deputy Assistant Secretary of State in the Bureau of Public Affairs.